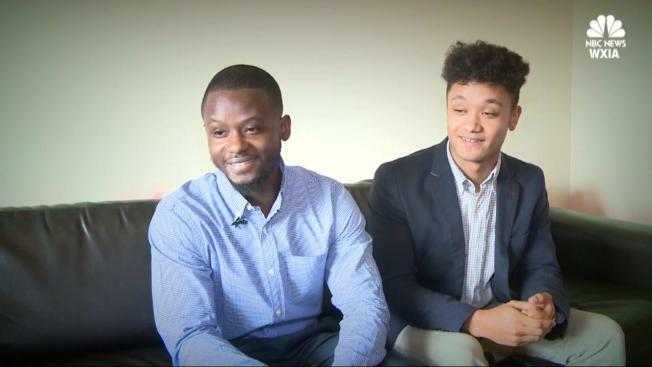 Two college students who attend the same university have just discovered they’re biological brothers who had been searching for each other for years. Growing up Kieron Graham always wondered about his birth mom and brother, so his adoptive mother gave him a DNA test kit to register on Ancestry.com. “What does my mom look like? Why don’t we have any pictures? It was a difficult conversation," he said. His birth mother Shawn Ghant had made the tough decision to give up her young son Kieron for adoption when he was just three months old. “At the time I felt like I could not give him what he needed,” she said. After the results came back last week, Kieron realized his number one match was a man named Vincent. And it turned out that Vincent attended Kennesaw State University in Georgia, the same college as Kieron. They even have the same major. He’s thankful they can make new memories. And their biological mom finally gets to see her boys reunited after all these years.